In legendary Chen Village, everyone is a martial arts master, using their powerful Chen Style Tai Chi in all aspects of their lives. 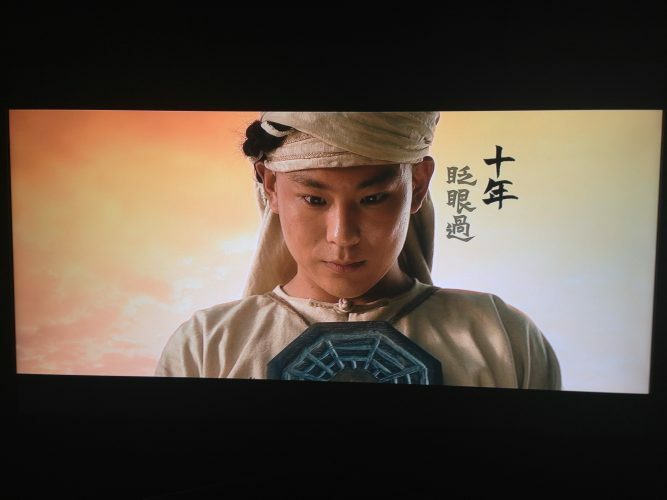 Lu Chan has arrived to train, but the villagers are forbidden to teach Chen Style to outsiders, and do their best to discourage him by challenging him to a series of fights. Everyone, from strong men to young children, defeats him using their Tai Chi moves. 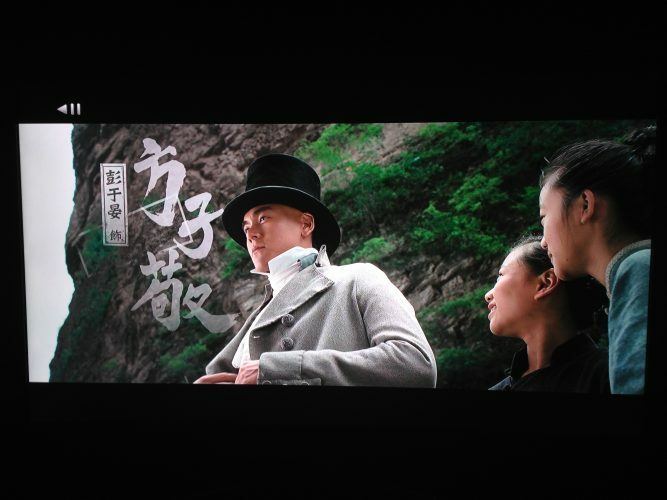 But when a man from the village s past returns with a frightening steam-powered machine and plans to build a railroad through the village at any costs, the villagers realize they may have no choice but to put their faith in Ly Chan… who has a secret power of his own. The sound is good with sound effects coming from all angles. but mainly the film is more geared towards the front. What would make this a 5 for me is if it had deeper sounds more bass. Tai Chi Zero is a mix of a bunch of films as in the way its shot. 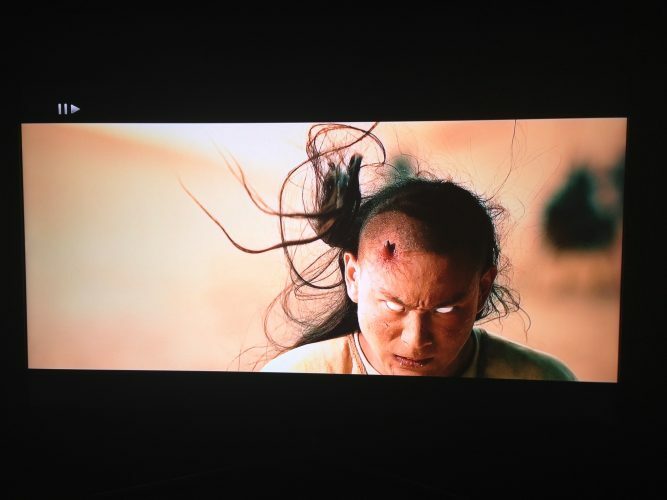 300, kill bill, wild wild west, fearless, crouching tiger hidden dragon, and kung fu hustle. With so many elements to this film like part of the film is in black and white/ silent , part of the film has anime, part of the film has video game elements, things get steampunked, it has comedy drama, action. Whats not to like about this film. Lets start of by the way it looks. It looks amazing on Blu-Ray and wish I had a bigger TV. Details are sharp, every pore is visible, every grain in wooden objects is detailed. The story is great but has been done before as in the base line of the story. Lead want s to know kung fu, searches for teacher, gets beat up in process. But what stands out is the lead guy can learn Kung Fu as he is fighting his opponents and other aspects I wont share so I don’t give away things.What really makes this stand out from others is the way its shot and how it go’s into different styles of video shooting. The action good as well as it is directed by Sammo Hung …the action that is. But is heavy with the wires some may hate that I loved it due to the way the whole film is ….well filmed. It fits. Tai Chi 0 is full of comedy as-well and found my self LoLing in some spots. ( Don’t hate LOL is just slang for the Net) . Down sides of the film. The film itself, I wish The lead actor would have gone super sain more or what ever you want to call it. he only does this once. More hand to hand combat would have been nice. Yes its full of action but I would like to see more complex hand to hand fighting. Now to Well Go USA. The Subtitles could be better. Some times white subtitles get lost on the screen due to the scenes background. Also another subtitle track would be nice for those who are viewing the English dubbed version. There are times when a person is named and or a name of a fighting style or a building is named it will pop up with Chinese characters but when watching The dubbed version you have no Idea what it means. The negatives of the movie are very minor and small mostly just the subtitles are the biggest part but not a big problem. Over all the film is great not a 5 but close. If above was fixed it would be not the subtitles but the film itself. subtitles and audio don’t take away from the film score for me unless it’s really bad.